Naughts & Cross stitches: Life always gets in the way. I am finally getting around to posting my progress today... I meant to post it a couple of days ago... but as the title says life gets in the way. I haven't been feeling the best for a couple of months now so I went to the doctor for a blood test so hopefully it can be solved really easily. That was on Friday morning, by Friday evening I was in bed with a migraine. I haven't had a migraine for years. I don't know if it was lack of water, or a reaction to the blood test or something else entirely! So I spent most of the weekend recovering from a really sore head and didn't stitch a thing. 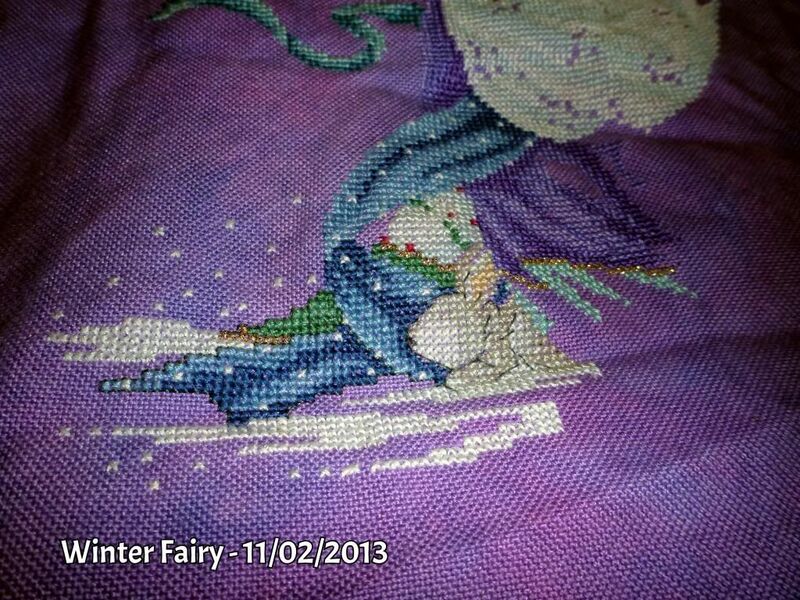 I have been stitching a lot, just not this weekend, as I haven't been working much with the new year. 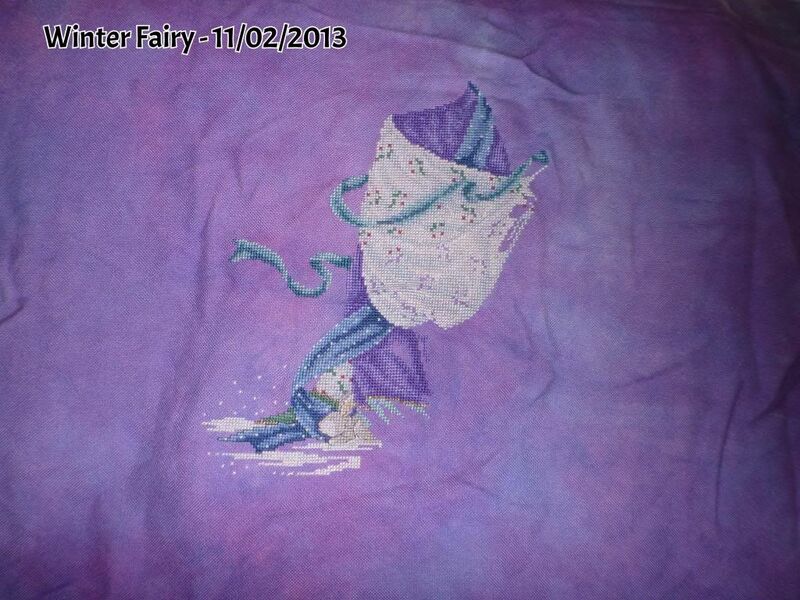 I have a big update on Winter Fairy. I've even done some back stitching which is great as it gets some of that task out of the way, and it makes the rabbit look better. You can also see the bits of sparkle as I've added some of the metallic threads in as well. I do have other stuff to show you but I'm exhausted so I will show you more pictures tomorrow! 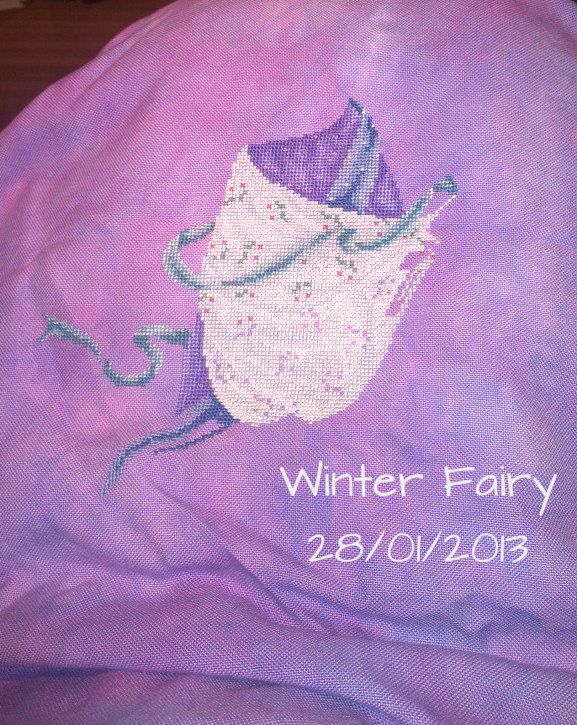 Winter fairy is coming along nicely...love the fabric you have her on! I feel your pain (literally)! I think it must be a weather thing because my migraines have been going nuts! Hold in there and hopefully it will get better! But at least you got some stitching done! Lovely progress and hope you feel better soon. Great progress Caitlin. I hope your feeling better soon. Winter Fairy looks beautiful! I'm so sorry about your migraine!